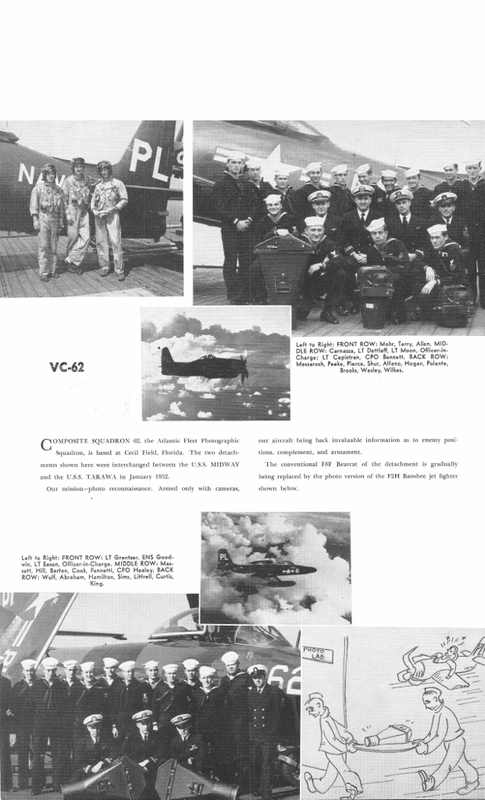 VC-62's detachment, with its F4U-5P photo-Corsairs, joined Task Force 77 aboard the USS Leyte (CV-32) September 6, 1950. 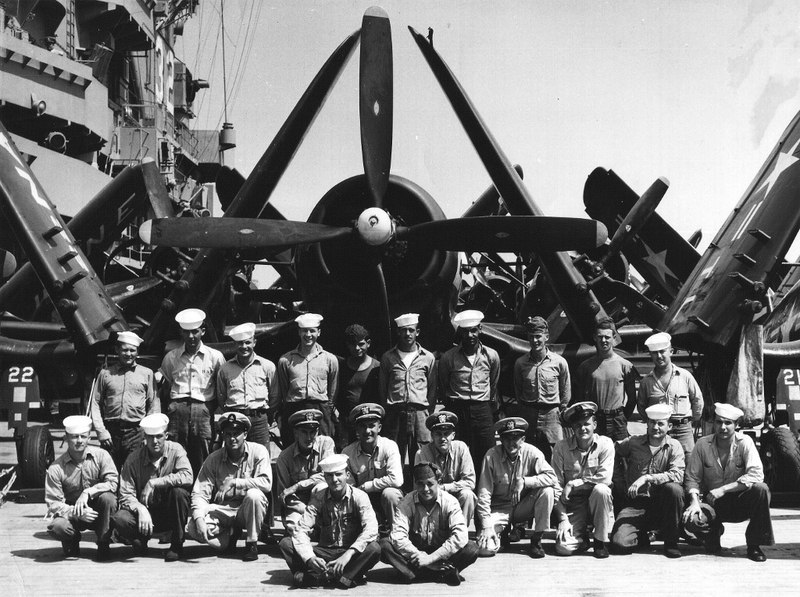 Leyte arrived in Sasbo, Japan October 8, 1950 and supported Korean War operations October 9, 1950 to January 19, 1951. 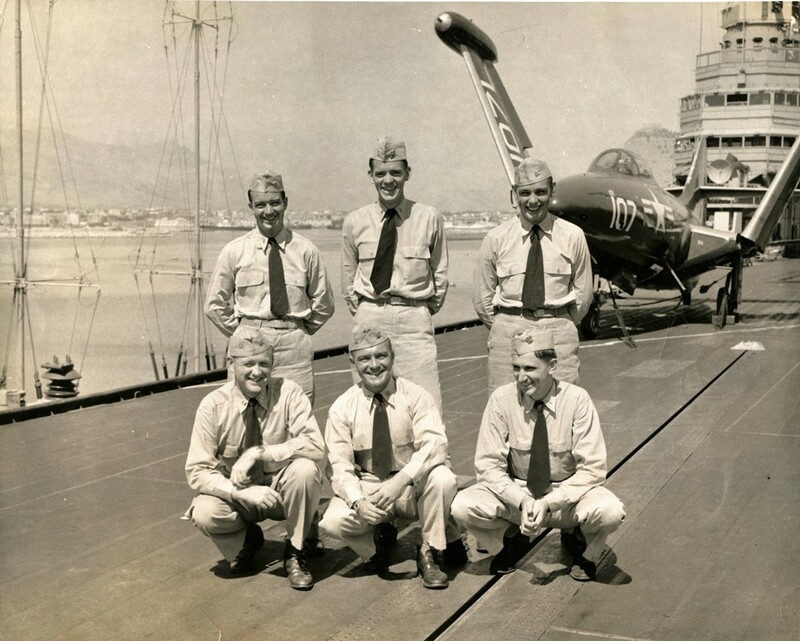 The carrier and airgroup spent 92 days at sea and flew 3,933 sorties against North Korea. 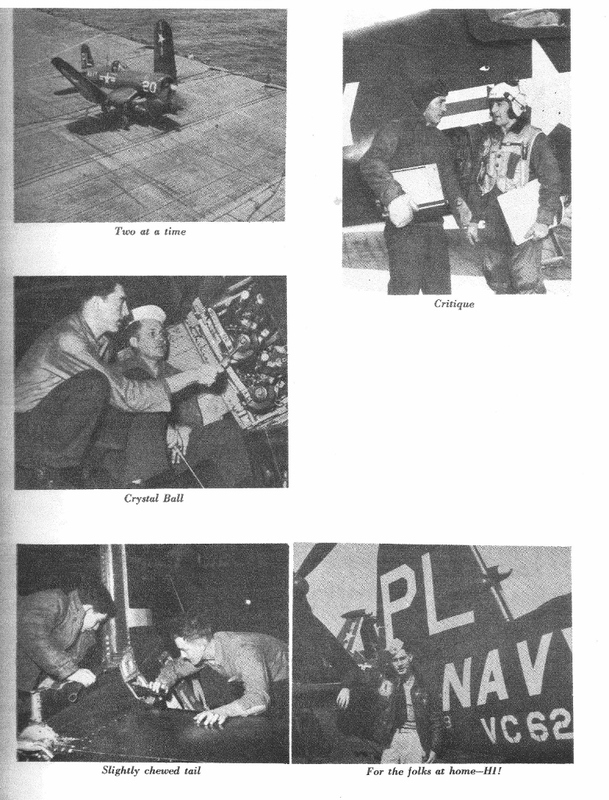 The airgroup pilots accumulated 11,000 hours in the air. 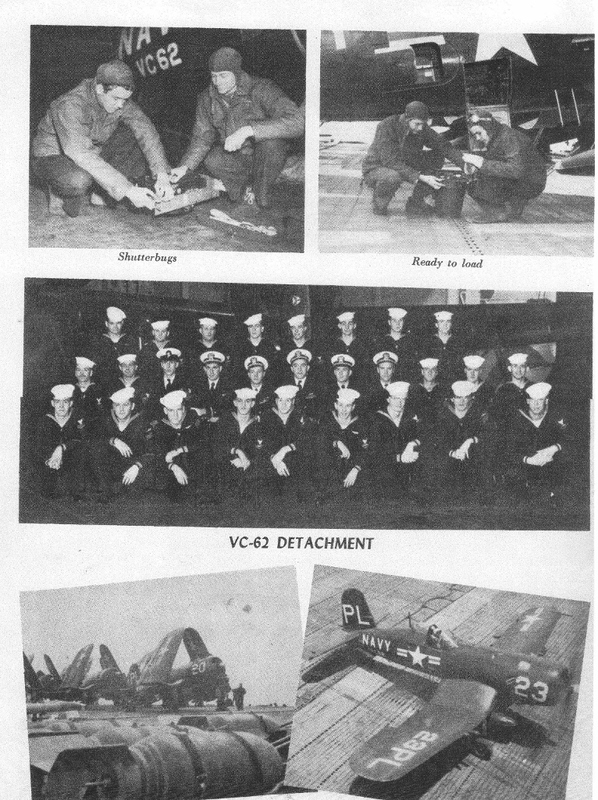 Leyte returned to Norfolk, Virginia February 25, 1951. 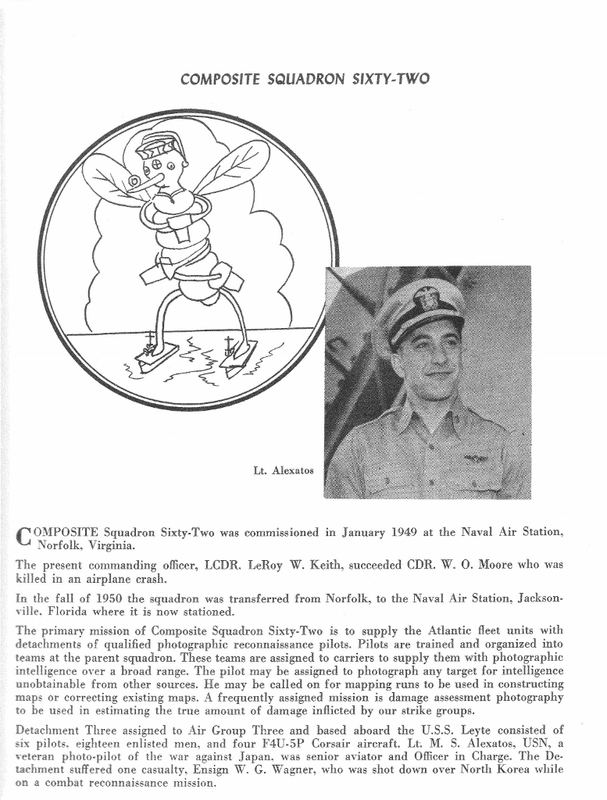 Lt j.g. 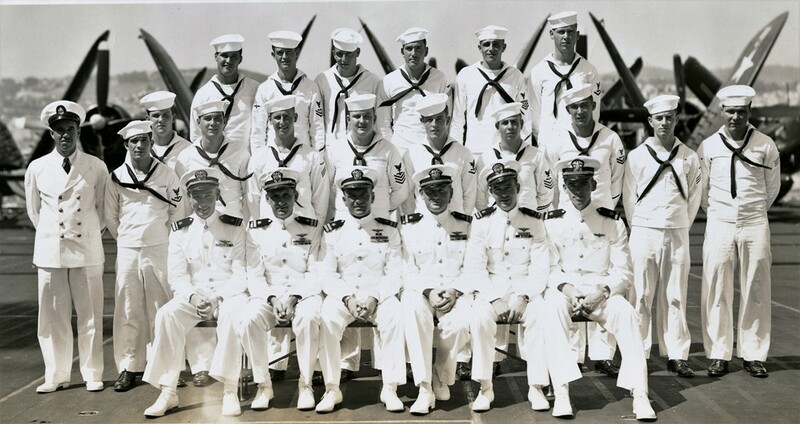 John Grentzer seated Left. Click this link - Email VFP-62 Webmaster to send a comment, correction, or contribution to this page.